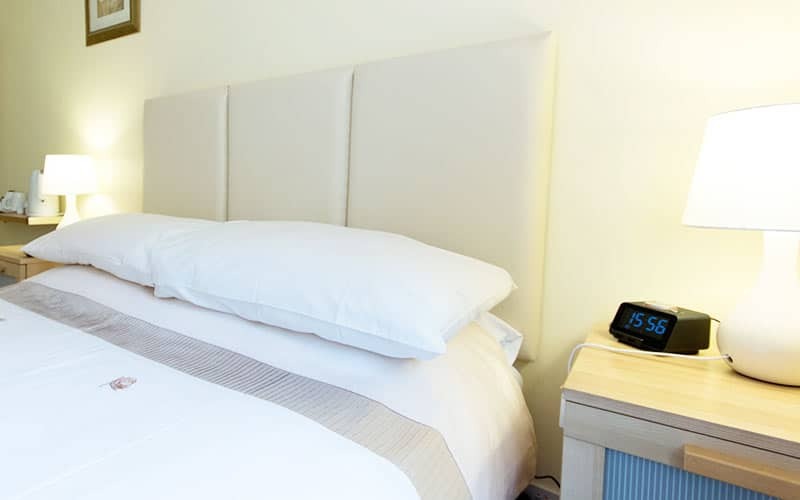 Some of our rooms can accommodate multiple adults and children. 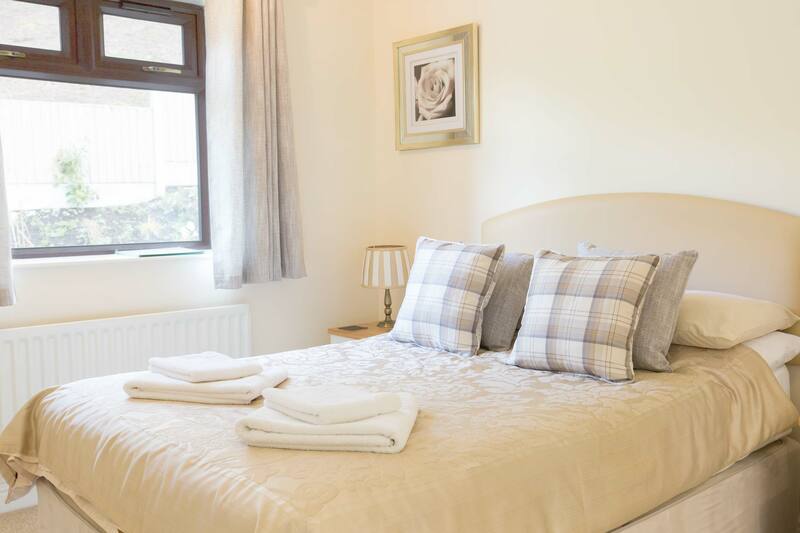 Different rates apply depending on occupancy, so just enter the number of guests on our online booking page to find the correct rate. 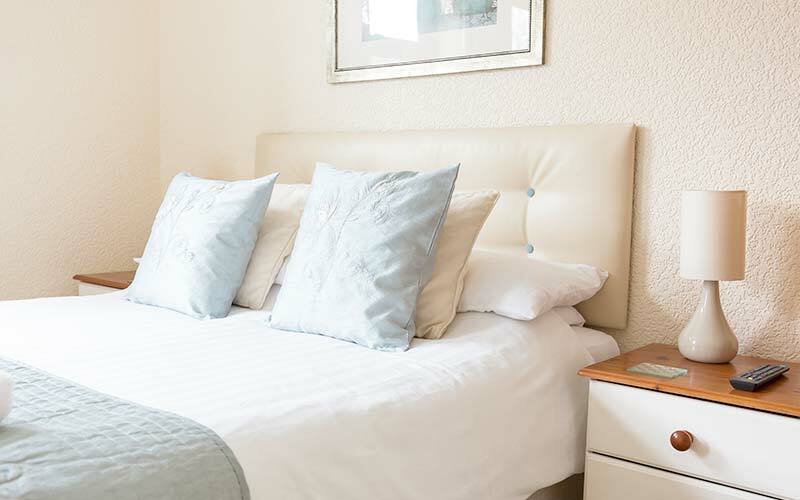 We offer discounted rates for under occupancy, so please have a look at our larger rooms if the one you want isn’t available. Prices may vary by season. 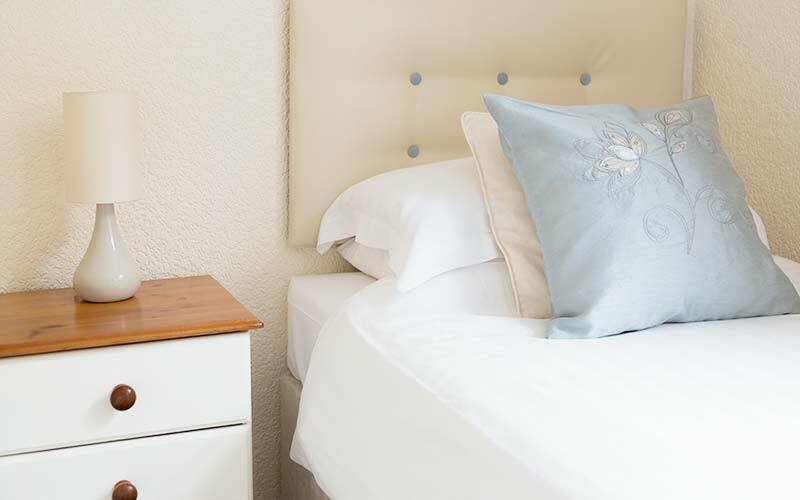 We only accept minimum 2 night stays. 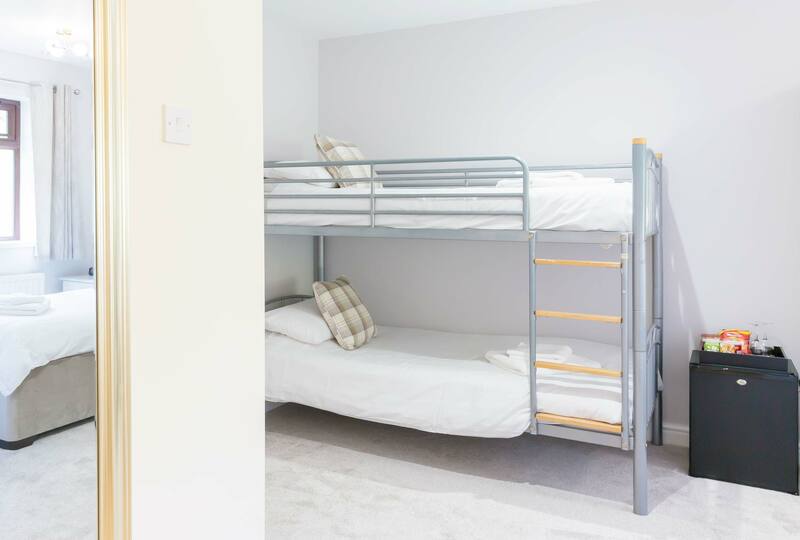 Our Family Room for up to FIVE guests contains a double bed, a single bed and bunk beds. It features a small dividing wall between the grown-ups and the kids’ beds providing you with a little more privacy. 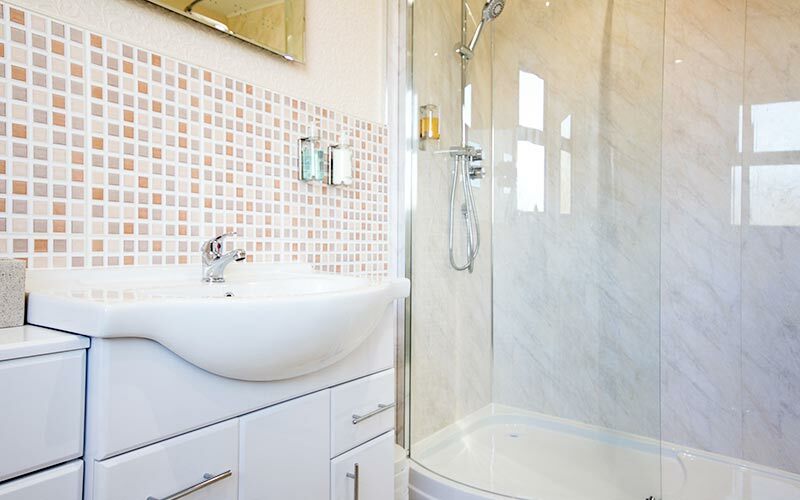 There is a good sized en-suite, with and a power shower including high and low level shower heads. 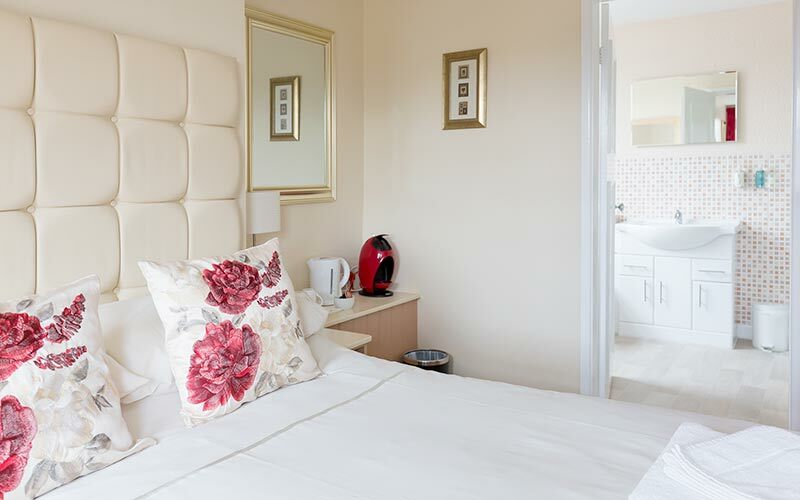 The room has a lockable mini bar with a selection of drinks and snacks, tea/coffee making facilities in the room include a Nescafe Dulce Gusto coffee maker. There’s also two remote controlled colour TVs with DVD players and an Amazon Alexa. The view from the room is to the rear of the house with fields and ancient woodland. 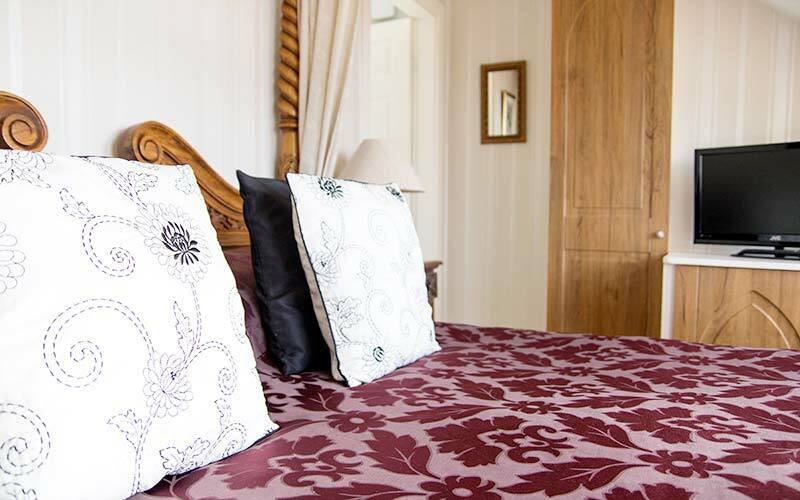 Our double ensuite room contains a comfortable double bed. 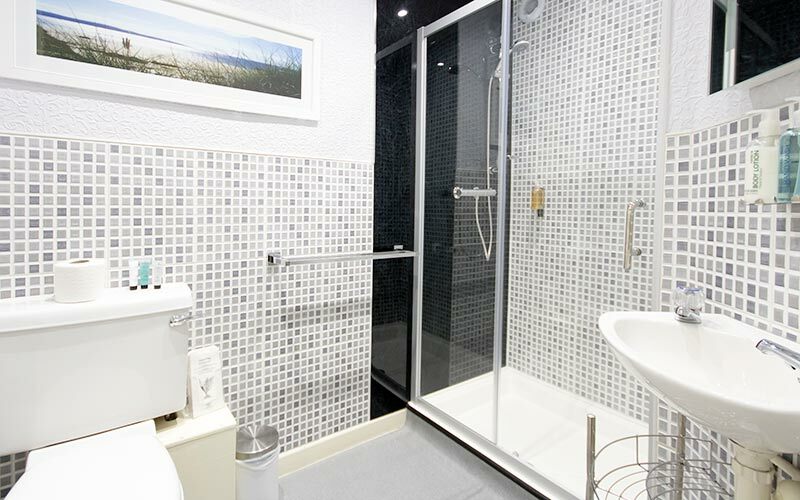 There is an en-suite shower and tea/coffee making facilities in the room, along with a remote controlled colour tv. The view is to the rear of the house with fields and ancient woodland. 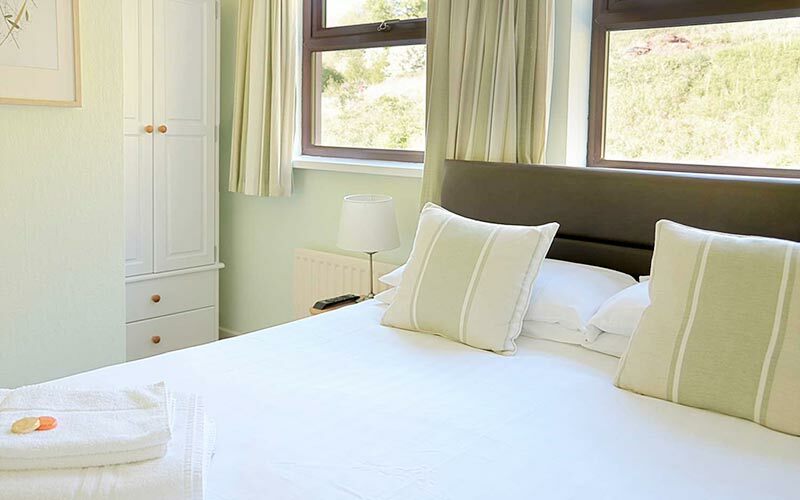 Our large family ensuite room contains a double bed and two single beds. 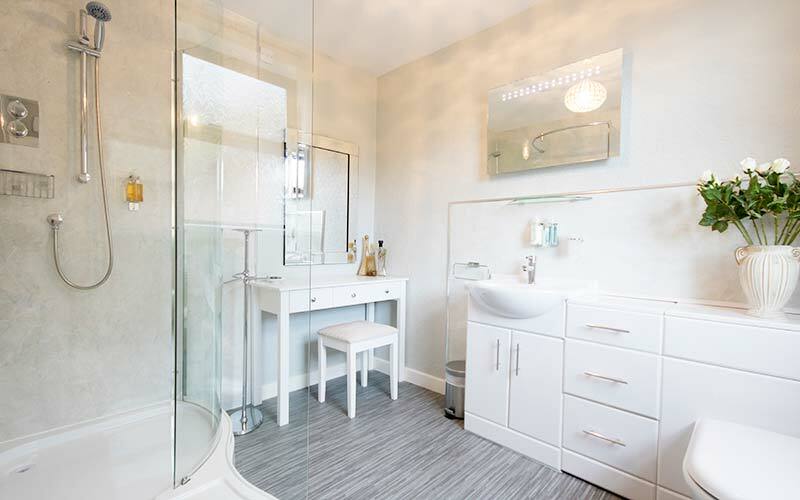 There is a large en-suite, with dressing table and a power shower including high and low level shower heads (perfect for the little ones). 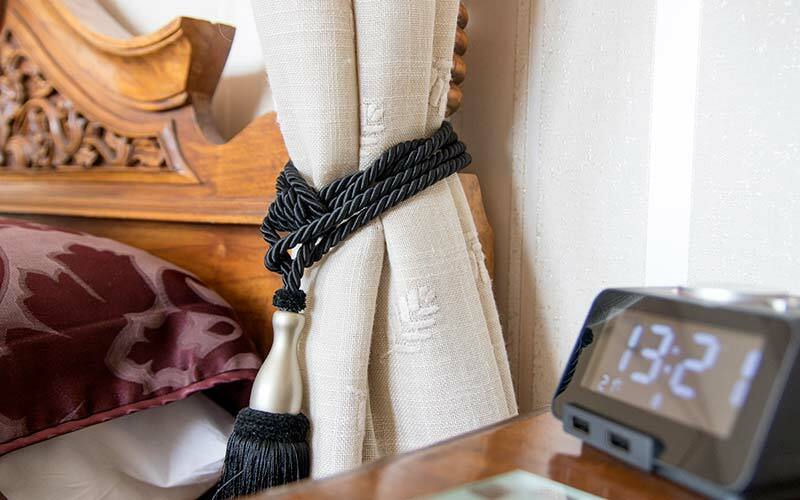 The room has a lockable mini bar with a selection of drinks and snacks, tea/coffee making facilities in the room include a Nescafe Dulce Gusto coffee maker. There’s also a remote controlled colour TV. This room is air conditioned, so you’re assured of a good nights sleep, even when it’s really hot out. 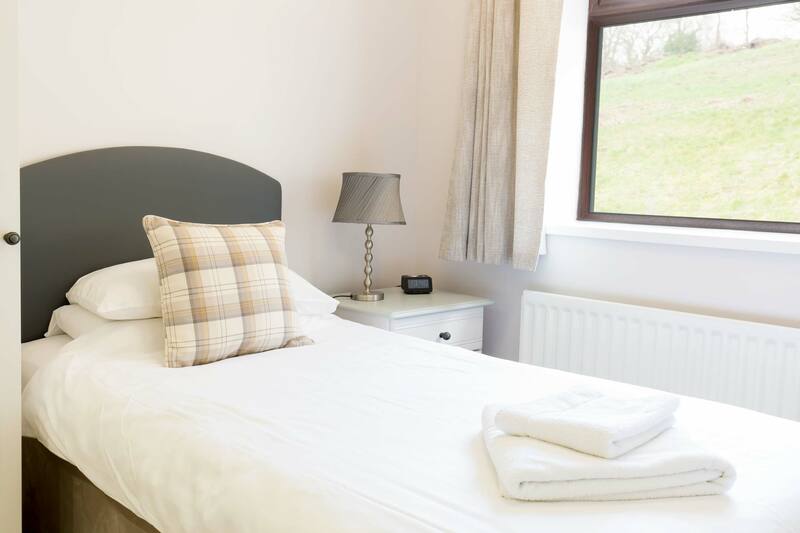 You’ll love the view from the room as it’s to the front of the house and overlooks the village of Oakamoor with views down the Churnet Valley. Our double room with a King Size bed. 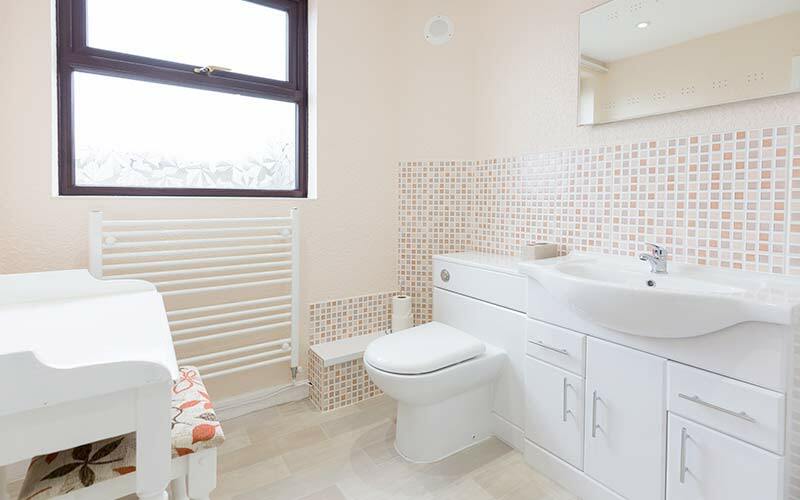 There is also a spacious en-suite with complimentary toiletries. 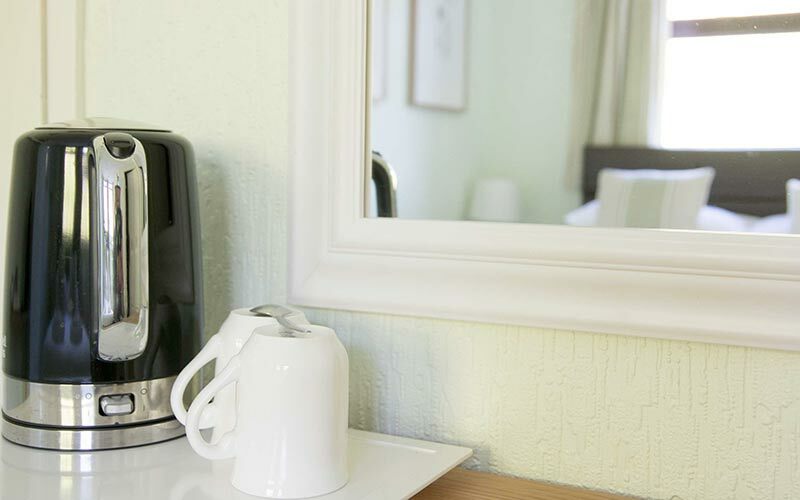 Tea/coffee making facilities in the room include a Nescafe Dulce Gusto coffee maker. There is also a remote controlled smart TV so you can watch iPlayer, catch-up TV and Netflix etc. This room definately isn’t the largest, but it is perfectly formed! 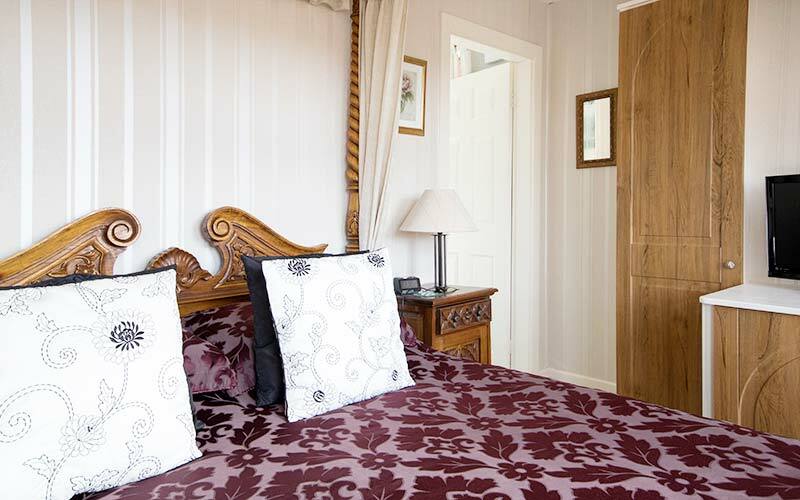 It is air conditioned and adorned with sumptuous furnishings and the luxury of an imposing King size, four poster with a comfortable pocket sprung/memory foam mattress. 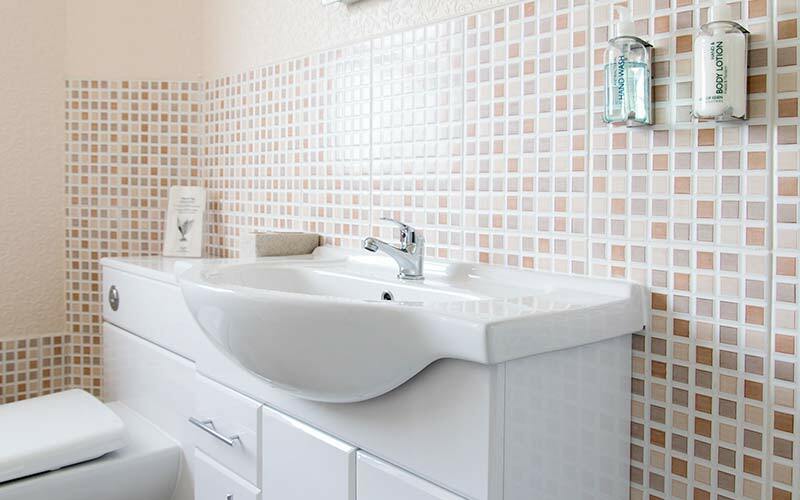 The ensuite however, is very generously sized, giving you plenty of space to relax, or pamper yourself with our complementary toiletries. 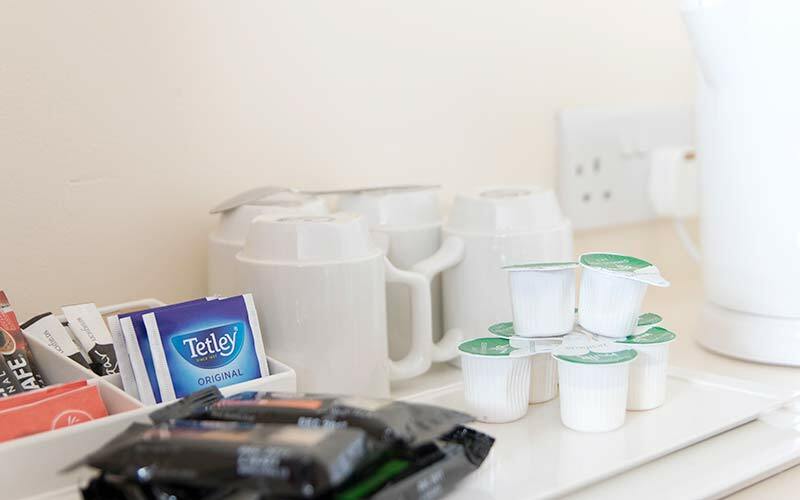 There is a mini bar, with a good selection of snacks and drinks at very reasonable prices, plus tea/coffee making facilities in the room, including a Nescafe Dolce Gusto coffee machine, as well as a remote controlled colour tv. The fabulous view from the room is to the front of the house and overlooks the village of Oakamoor with views down the Churnet Valley. 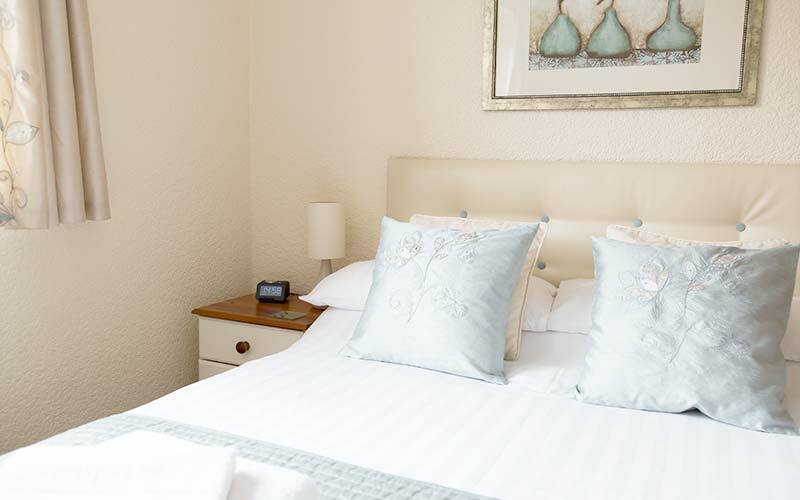 Our triple rooms contain a double bed and a single bed. 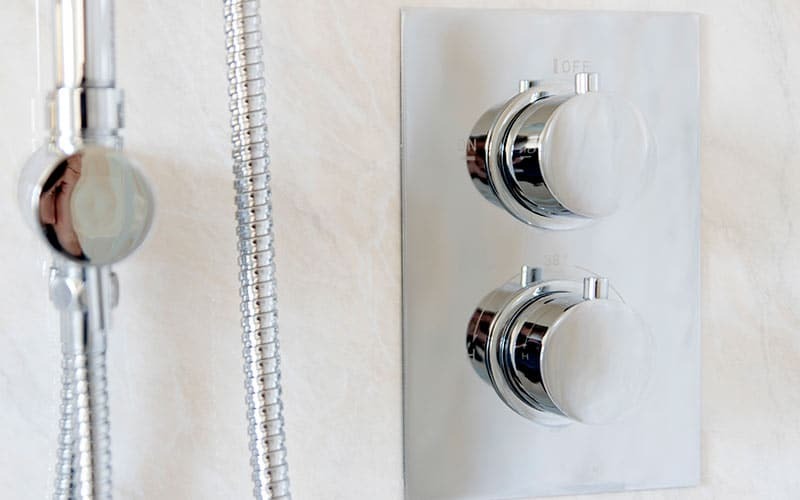 Within the room is an en-suite shower room and tea/coffee facilities, also included is a colour remote controlled television. 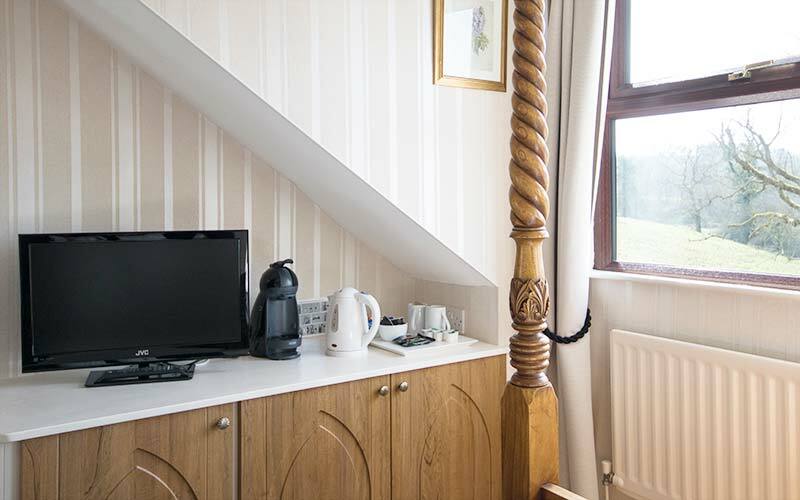 High speed broadband is available FREE in all bedrooms. Your room will have a shaver point and we’ll provide large fluffy towels. You’ll find a hairdryer and a radio/alarm in your room. We provide tea/coffee as well as tasty biscuits for you to enjoy. 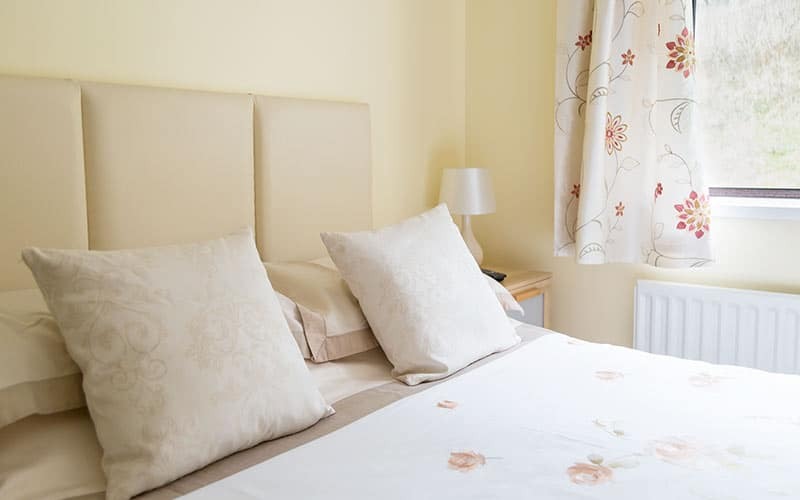 The Laurels has central heating and some rooms have air coniditoning. Checkin time is 16:30 Please ensure you don’t arrive before this time. Check out is by 10:00 on the day of your departure. We’re afraid it’s not possible to offer early checkin or late check out. Cancellations 14 days (or more) before your stay will be charged 10% of the deposit. Cancellation within 14 days of your stay will be charged 100% of the deposit. We don’t really go in for lots or rules and stuff. You won’t find notices of Do’s and Dont’s plastered everwhere.